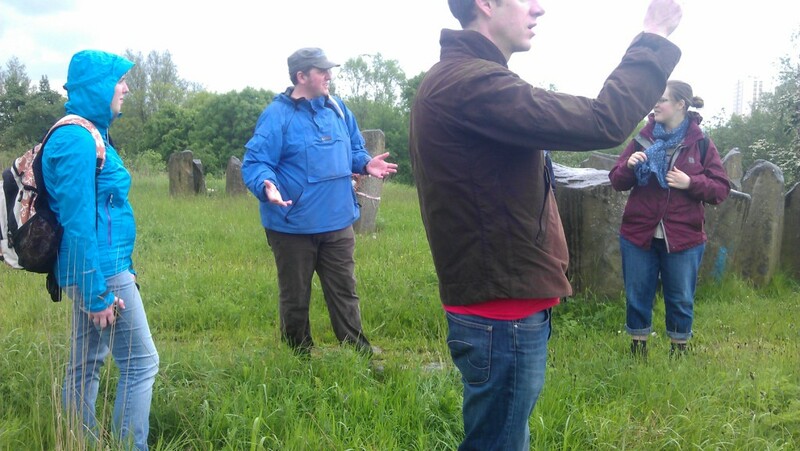 This summer saw the first two urban prehistory walking tours. 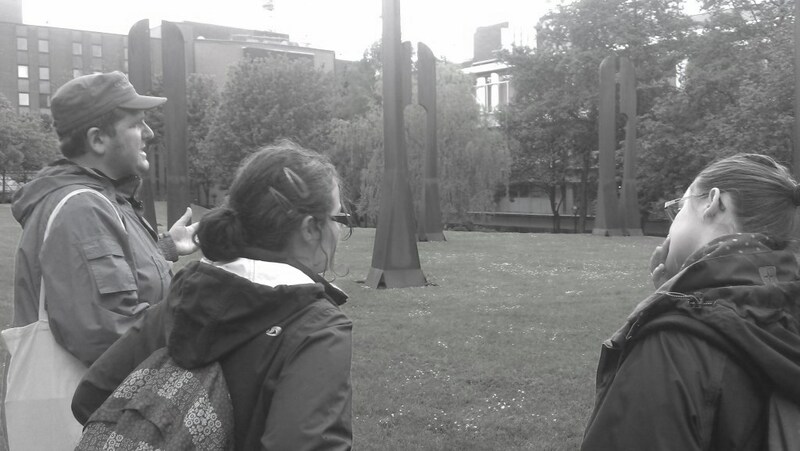 These were the first of a series of free to the public walking tours that I am going to lead in various urban centres. 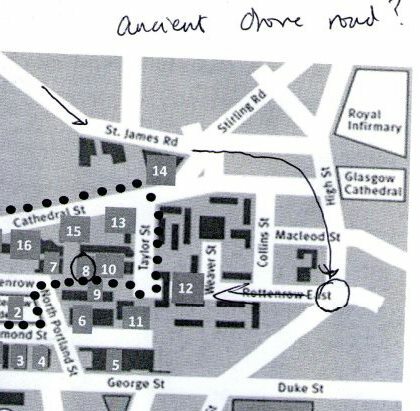 Each tour will last for about two hours, and follow a circular route around a town or city exploring the prehistoric activities that once did, or might have, taken place in locations that are now urbanised. 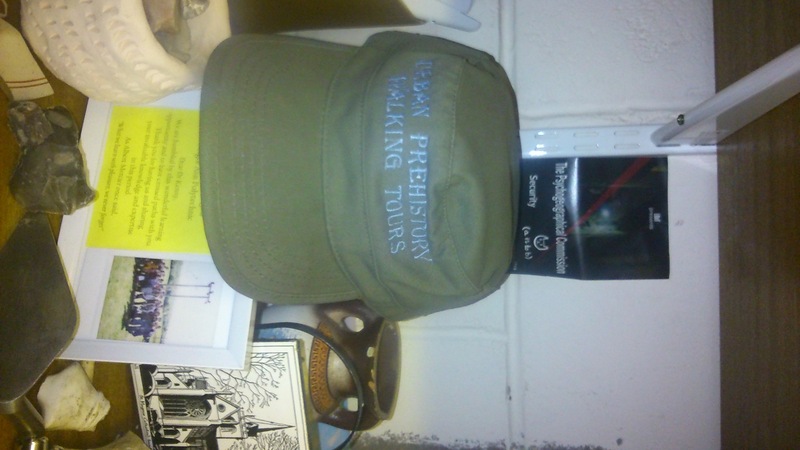 Through a series of stories, the tour guide (me!) 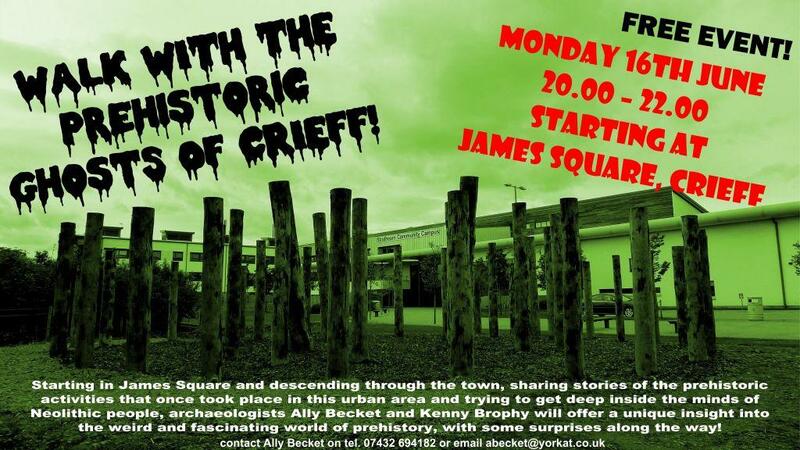 will give a sense of what it was like to live and die in prehistory, drawing on a mixture of tales and information based on prehistoric discoveries made along the route, but also utilising creative storytelling drawing on aspects of prehistoric activities, such as burial rites, food gathering and tool making. These walking tours will hopefully allow people to engage with the ancient past beneath their feet, gain a better understanding of life and death in prehistory, and surprise participants with tales (and some factual information) about the prehistoric heritage of the places that they live in. And encourage some walking of course. 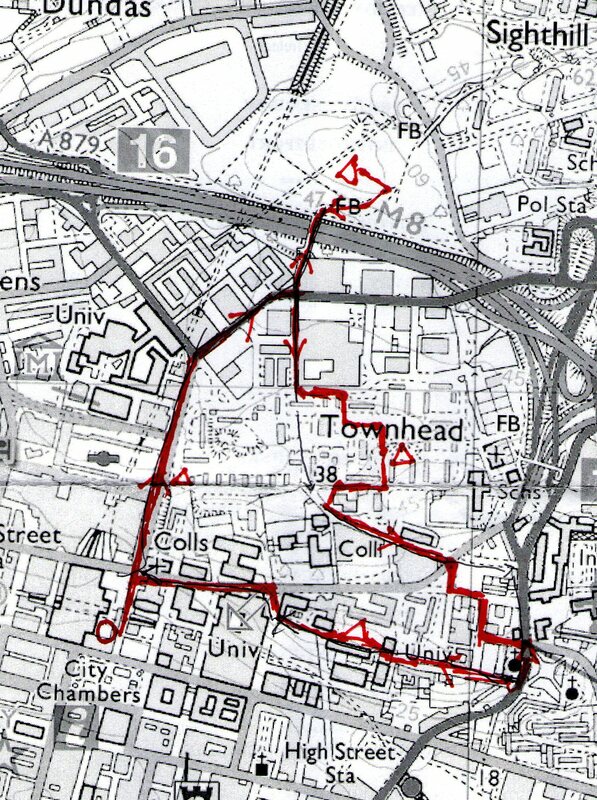 The first two walks were undertaken in collaboration with others. The Glasgow Sighthill and Townhead walk was undertaken with Glasgow University’s Landscape Discussion Group who I must thank for taking up my offer to do the walk. 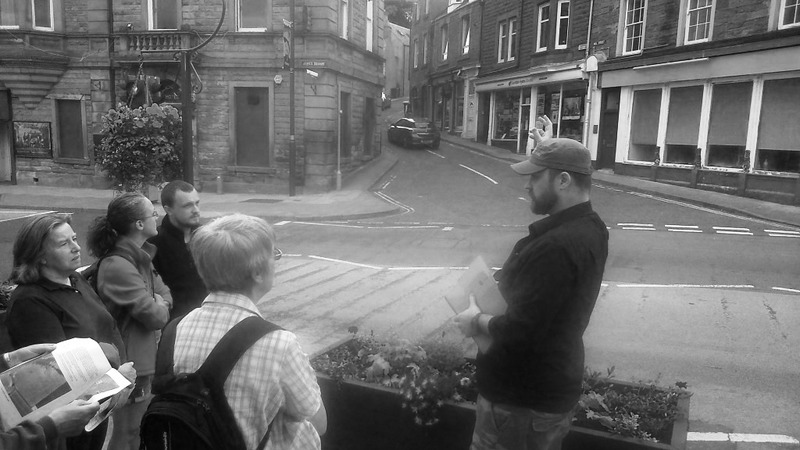 The Crieff walk was conceived of, planned and carried out with Ally Becket of Northlight Heritage. 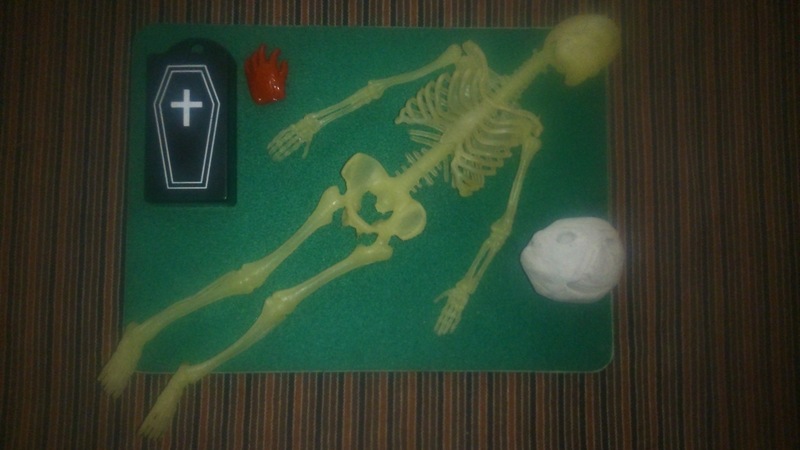 Here are some images and objects associated with the first two walks. 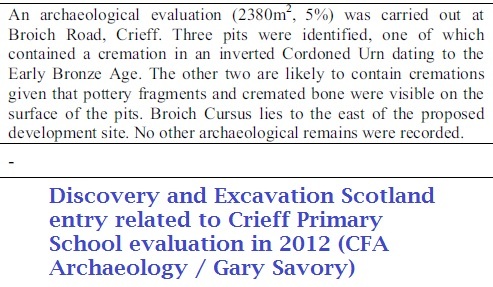 I will publicise future walks via @urbanprehisto and this blog. Sources and acknowledgements: the Sighthill and Townhead walk photos were provided by Helen Green, thanks for taking them! 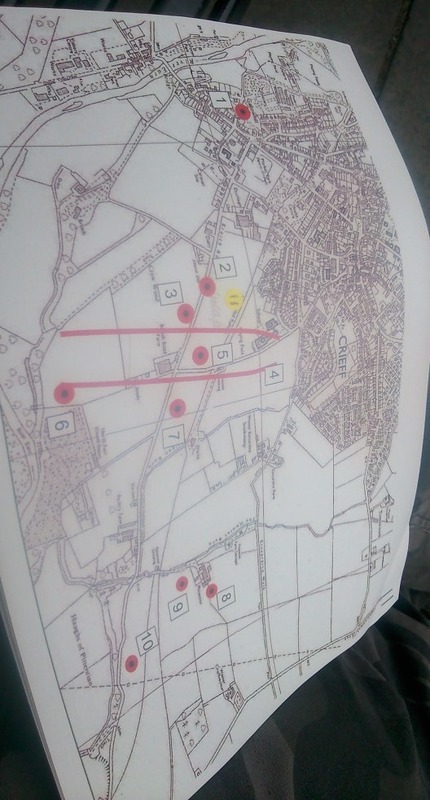 The photo of the map from the Crieff walk was an image from a handout for the walk prepared by Ally Becket, who also designed the ghoulish poster for the event. 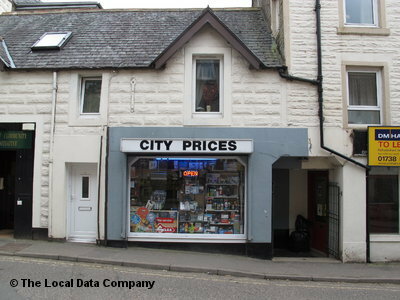 The image of the City Prices shop was sourced from 192.com and the information about the poltergeist came from from David Cowan’s website. Thanks once again to Ally Becket and Helen Green. 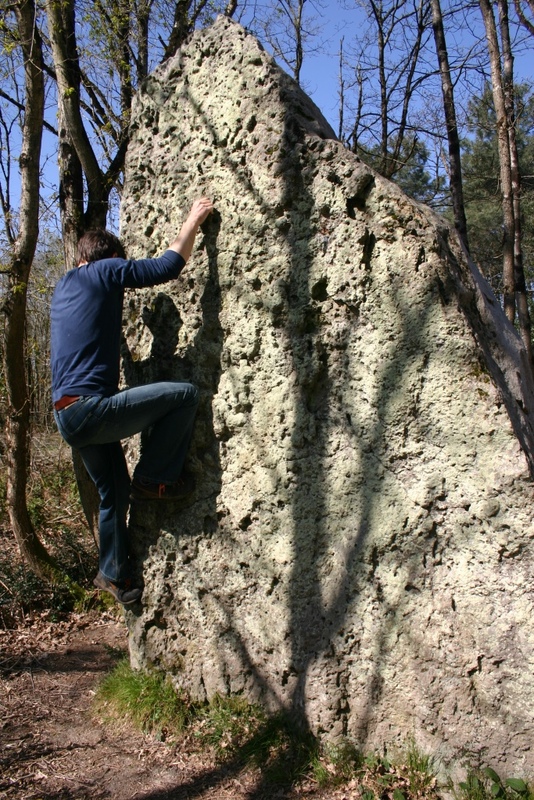 One of the things I most love about standing stones and other megalithic monuments is that they are great fun to climb all over. Maybe I shouldn’t be saying this, but there is little more satisfying than standing on the stone roof of a dolmen, or crawling inside a chambered tomb, or lying in the sun on a prone standing stone. And it seems that designers of children’s playground furniture agree with me. 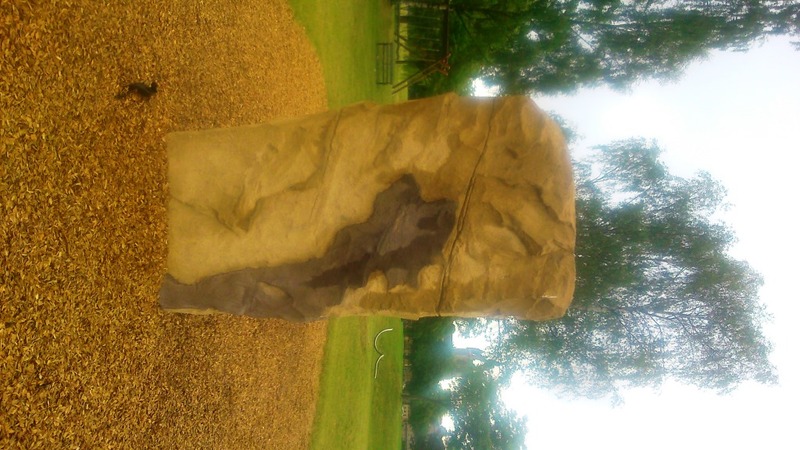 Over the summer months, I have encountered a number of playground features which look to me a wee bit like standing stones. Perhaps the most striking example was spotted during a walk in South Inch Park in Perth. This sprawling park, located between the city centre and River Tay, includes a recently renovated and quite exciting looking play park, with a ‘death slide’ (aka aerial runway which sounds a bit safer), climbing frames, bridges and some rather strange silver balls which may have been exercise equipment or something to do with parkour. And in the middle of all of this shiny new play equipment, which has barely had time to be vandalised yet, stood three large standing stones. Or so it seemed, but on closer inspection they revealed themselves to be rather cleverly disguised climbing walls, with the usual little plastic hand and footholds which characterises such facilities missing, with subtle ledges and holes in their stead. The three stones, two apparently paired, and the third rather chunkier, were set within an area with soft wood chips, presumably to cushion the fall of clumsy children. These amazing climbing walls were constructed by a German company, X-Move, which specialises in the design and construction of a whole range of leisure and sports amenities including childrens’ playgrounds, climbing walls and parkour installations. This company seem to use what look like standing stones and megaliths for many of their designs. 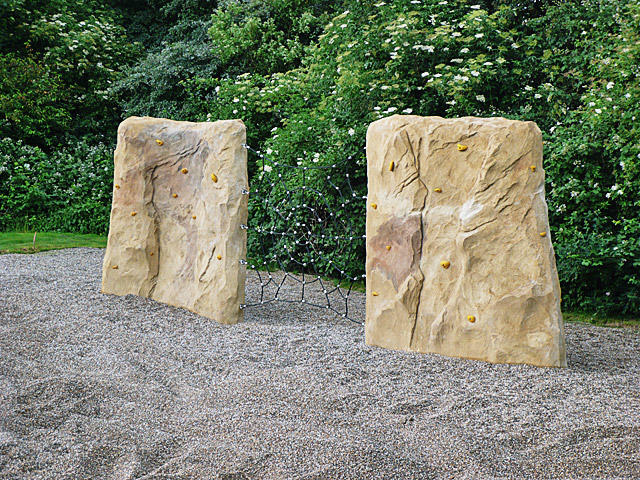 They call the climbing walls such as those at Perth Rox and they can be installed safely up to a height of 3m (which in the climbing wall business is know as the ‘freefall height’). The climbing Rox are made of shotcrete, which according to Wikipedia is ‘concrete conveyed through a hose and pneumatically projected at high velocity onto a surface’ – liquid spray-on concrete basically. This material was apparently invented by a taxidermist in 1907. If you would like to buy a pair of climbing Rox, like the ones in Perth, this will cost you £7495 (excluding delivery and installation). 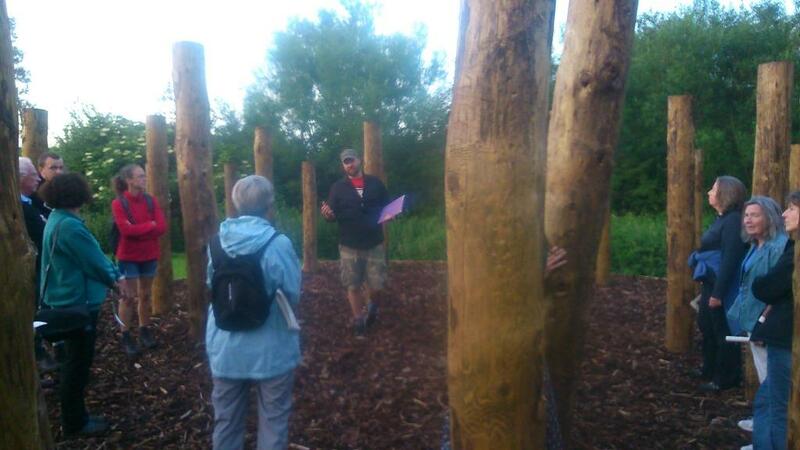 The concept of the play area is loosely based on the Perthshire landscape comprising of hill, hill fort, pictish stone, woodland, river and glen. It is interesting that these really nice and cuddly aspirations are actually objectives in a corporate plan, perhaps indicative of the supposed boost to economic productivity that follows on from healthy young people who need to make less use of the NHS and take less sickies from school and work. Whatever, it seems the shotcrete standing stones are playing their role in promoting the wellbeing of adventurous children and youths in Perth, and such facilities appear to be popping up across Europe. The example above, from the x-move website, I assume is from a German playground. 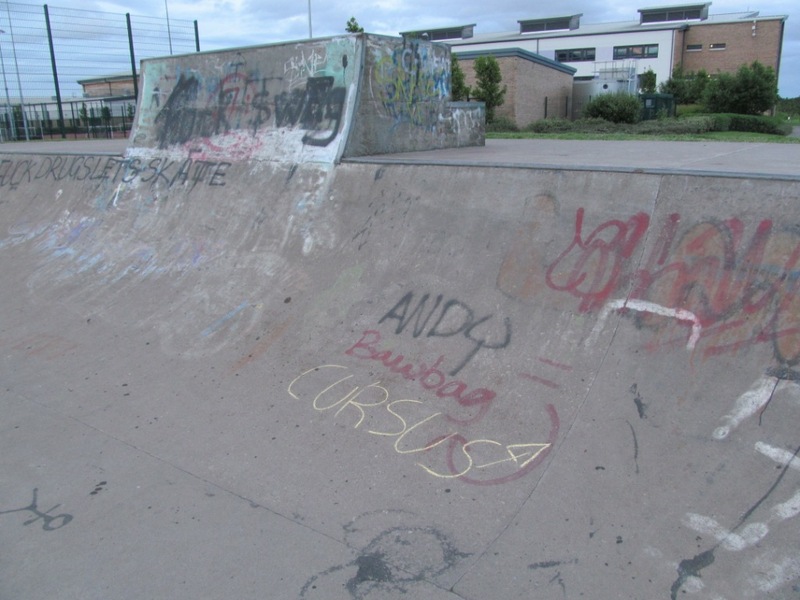 But I have spotted another example, much closer to home – in Airdrie at the Rawyards play park, located next to the Leisure Centre. This play park has also been renovated in the past few years, and has lots of fancy stuff, although when I visited someone had also dumped some bin bags full of rubbish there. 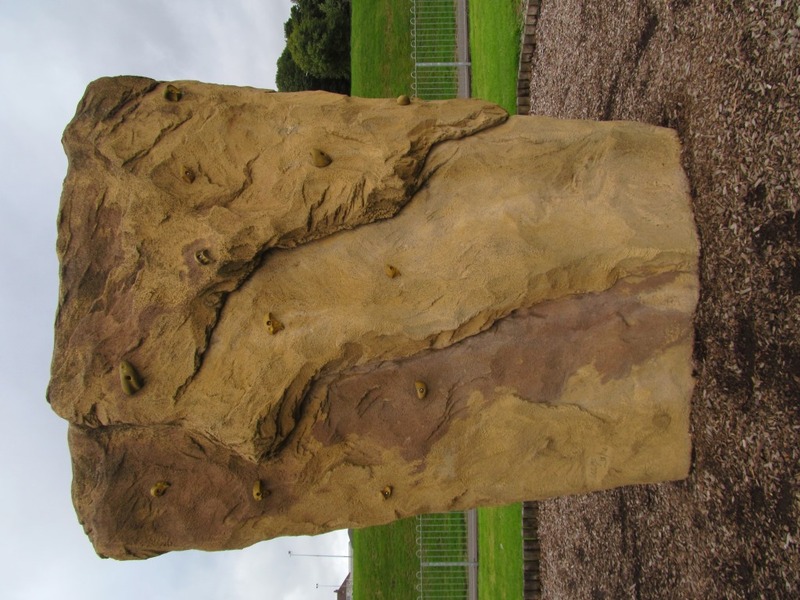 Here, the climbing wall area consists of three large yellow-brown standing stones, rather like the Perth example, but without the paired setting, and these were less well done, with foot and hand grips attached rather than blended into the stones. These three monoliths do look a lot more like rock faces than standing stones, but the squarish and flat appearance is reminiscent of some of the bigger standing stones at Avebury. There is no sign of an x-move logo, and some graffiti is evident on the ‘stones’. I wonder if the people who put up these stones up ever considered how Artificial Climbing Structures would look today! – maybe they were mad keen boulderer’s and Callanish was the first ever boulder park. 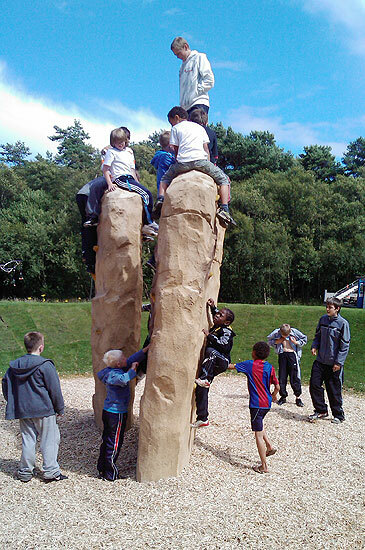 Climbing up shotcrete standing stones in a playpark with a safe fall area is one thing. But should we really be encouraging or even condoning visitors clambering all over actual prehistoric monuments, whether in the name of childish fun or adult endeavour? In recent years, climbing up standing stones has in fact become associated with protest and anti-social behaviour, largely condemned by the authorities, and treated as another form of vandalism, even when no damage was done. Having said that, evidence has been collected of the cumulative damage caused to standing stones at places like Avebury by climbing visitors, and solstice-time climbing activities have caused similar concerns at Stonehenge, where climbing up and onto the stones and lintels is sometimes treated as a criminal act. I know from my most recent visit there that burly security guards are on hand to intervene even if you just want to touch or hug a stone, never mind scale one. And there are signs erected around Avebury with a clear message: No climbing on the stones. Although there are plenty of photos online of people doing just that. Similar signs also sit at the foot of Silbury Hill although to be fair if you climb up there you risk falling through a hole into the heart of the monument and getting properly hurt and stuck. So it seems there is a balance to be had. We need to be cautious about how we use our megaliths, and resist the temptation to abuse them too much. Many stone circles and megaliths are rarely visited, and if you do have the urge to clamber up one, perhaps it is better to do so out of the gaze of tourists and security guards. 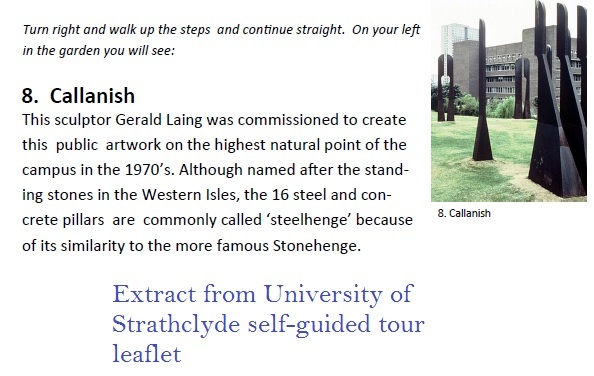 And it seems plenty of opportunities are afforded by the shotcrete standing stone industry to allow the experience of climbing up a standing stone to be replicated, albeit in a child-friendly environment. More x-move rox with children generically enjoying themselves. No real megaliths were harmed in the staging of this photo. Anyway, we simply don’t know how standing stones were treated in prehistory – were people allowed to touch them? Were they viewed as akin to natural rocky features? 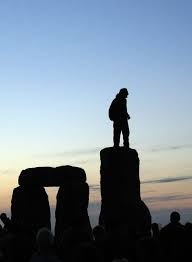 Did shamen lead ceremonies while balancing on one leg on top of megaliths, swaying in the wind? Were they used to amuse children or teach them how to climb? 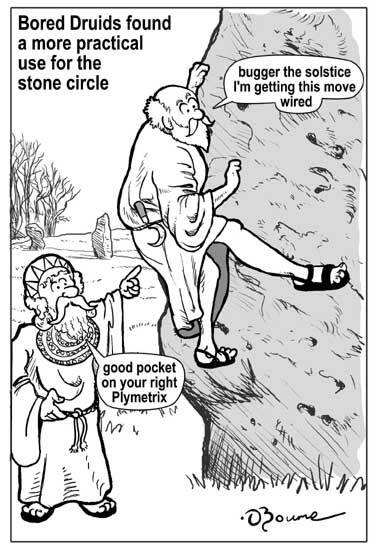 Or did they have ‘Keep off the stones’ rules in the Neolithic and Bronze Age? 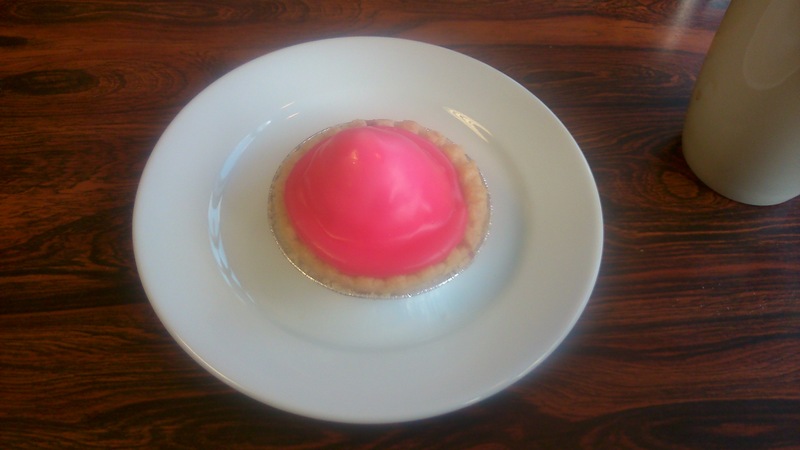 Acknowledgements and sources: on my visit to the Perth park I was accompanied by Helen Green. 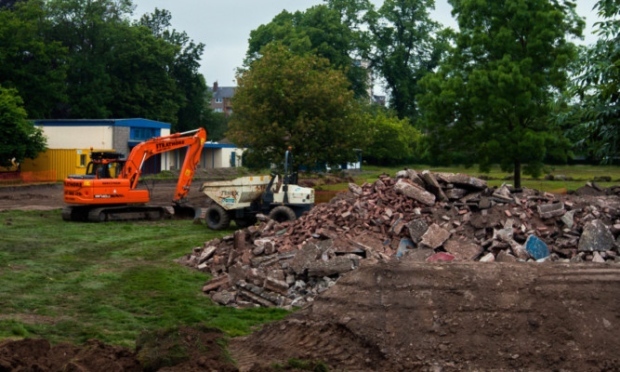 The x-move rox images come from the website of that company (link in post), and the photo of the construction work at the South Inch park was sourced from the website of The Courier. 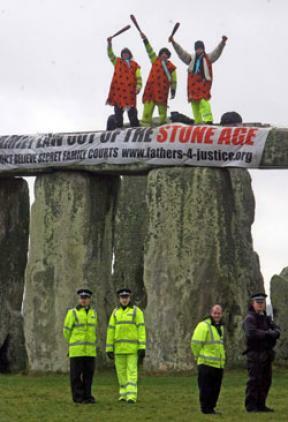 The image of the Fathers 4 Justice campaign came from The Wiltshire Times, and the figure on top of Stonehenge is a Wikipedia commons image. The brilliant climbing wall cartoon was drawn by and is copyrighted to Duncan Bourne, while the image of the Avebury sign, and some interesting comments on the problems caused by climbers at Avebury (referred to in the post), can be found at the Heritage Action blog. 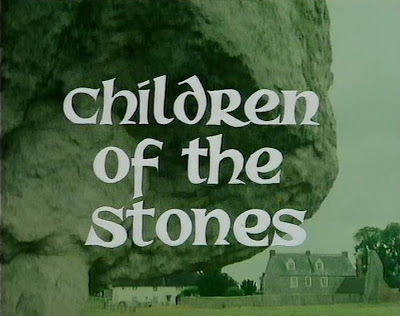 The Children of the Stones screen grab is available widely online.